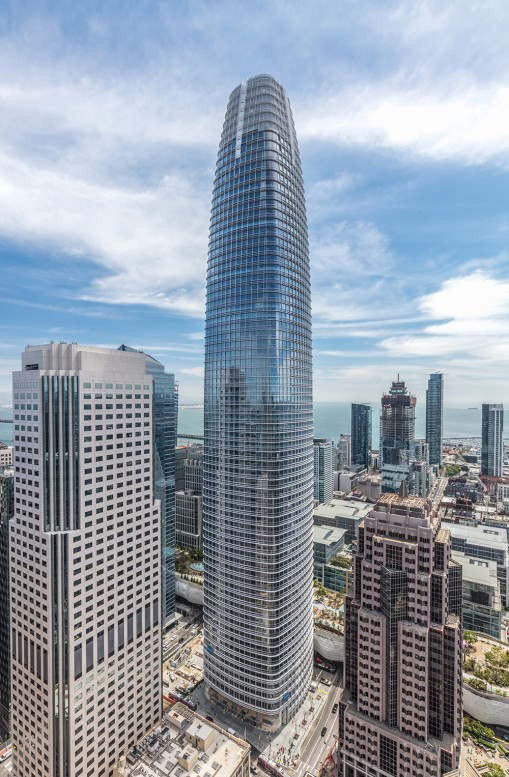 The Salesforce Tower in San Francisco, California, is the recipient of the Council on Tall Buildings and Urban Habitat’s (CTBUH’s) 2019 Best Tall Building Worldwide award. The Salesforce Tower in San Francisco, California, has won the 2019 Best Tall Building Worldwide award from the Council on Tall Buildings and Urban Habitat (CTBUH). It has also won the Best Tall Building award in the 300 to 399 m (984 to 1309 ft) category. 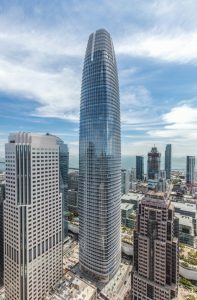 Described by Best Tall Building jury chair Karl Fender, founding partner, Fender Katsalidis Architects, as a “building that gives back,” Salesforce Tower was recognized for its multipronged focus on occupant health, sustainability, structural efficiency, and integration with the surrounding urban habitat. The building stands as the centerpiece of a new transit-oriented, mixed-use neighborhood recently freed up for development following the demolition of an aging transit center. The result is not just a contribution to the city skyline, but a successful exercise in human-centric and resilient design for tall buildings. The CTBUH Annual Awards program recognizes projects and individuals that have made extraordinary contributions to the advancement of tall buildings and the urban environment, and achieve sustainability at the highest and broadest level. Click here to see the full list of winning projects.